A small pole barn in Mount Pleasant is taking us back decades and showing off some of the coolest Neon Signs. 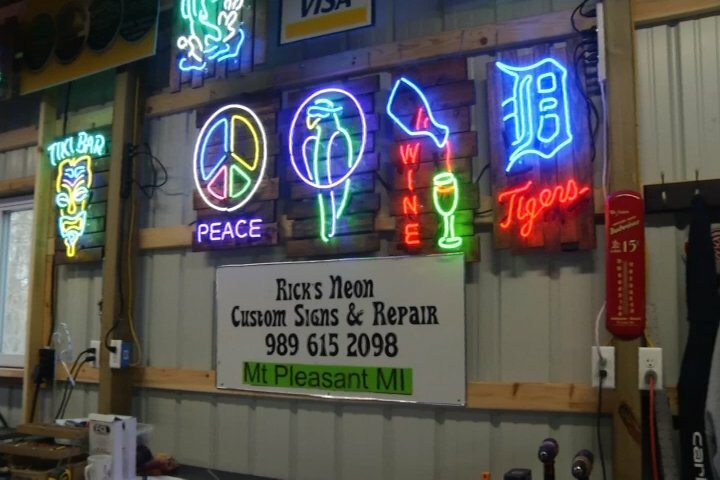 Rick Jacobs hasn’t collected these signs, he’s made them and has been making customized Neon Signs for the last 30 years. The biggest reward comes when he’s finished. “When I make something and I get to put it together and the final touches — I get to look at it and now that is something I made and learned how to do it just gives me a good feeling,” says Rick Jacobs. Now neon signs represent nostalgia taking us back to the 50’s and 60’s. Making these signs come to life takes skill and years of practice. “It’s hard. it looks really easy and people will come here and look at my equipment and it took me a good five years to even try to do anything that look halfway decent,” says Jacobs. If you are looking to get a sign of your own call (989) 615-2098.